Tips For A Healthy Mouth! Dr. Tomazin and his Team offer you a wealth of combined experience. We take pride in our ability to communicate and deliver the highest level of dentistry to our patients. 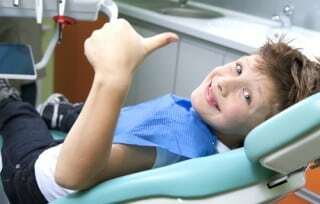 Sealants can be used on both children and adults. A sealant is a small, special tooth-colored resin that is placed into deep grooves and crevices of our teeth. Since most cavities start in those grooves, sealants can prevent quite a bit of future dental work. Daily flossing is still required to clean the spaces between the teeth. However, the more we protect our teeth, the greater chance we have of preventing cavities. 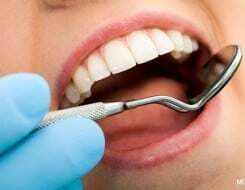 For the sealant procedure, the tooth surface is cleaned with a paste and brush. The tooth is then washed and dried. An acidic solution is applied onto the tooth’s chewing surface for a few seconds, and the tooth is washed and dried again. Finally, a liquid dental sealant is applied to the tooth and hardened. The sealant becomes a hard, see-through coating on the tooth. Dr. Tomazin and his Team offer you a wealth of combined experience. We take pride in our ability to communicate and deliver the highest level of dentistry. Copyright 2019 IE Dental, Chad Tomazin, DDS. Site design & hosted by Plastic Surgery Studios.